Sorry for the absence these few days. I took a short break and went to Langkawi with my bestie. It is a lovely island. We fell in love at first sight and planning to go back in January. Today is the announcement of my November giveaway. Congratulations Danielle Tan!!!!!!!!!!! I've gathered all the comments and put it on a list according to who commented first. Actually there were few more names that participate. But I can't find the names on GFC, so I didn't put the names on the spreadsheet. So sorry. 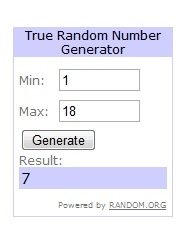 And then I use random.org to pick the winner. Result shows that no. 7 is the winner. 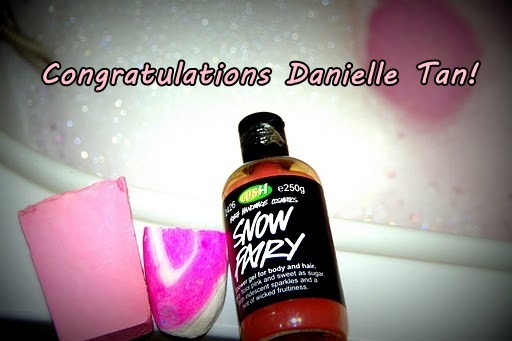 So, congratulations Danielle Tan!!! Danielle, please give me your mailing address so that I can mail it to you. If you didn't win this time giveaway, there's another giveaway that is running on my blog.... My December Giveaway. There are 2 boxes of December Wonderbox to be given away. Do check out ya? !